A lovely set to decorate how ever you please. Plaques with the wording on come seperate for you to glue onto the Blocks. 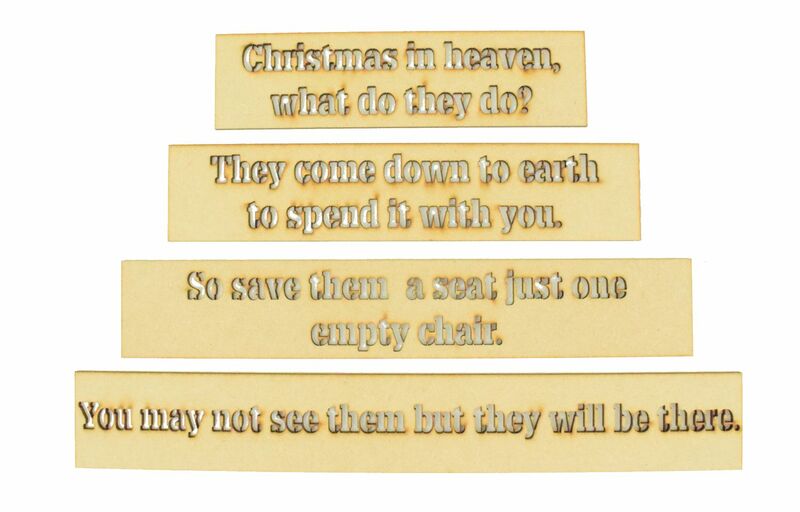 The wording can be Etched or cut out in stencil font please select from the options. 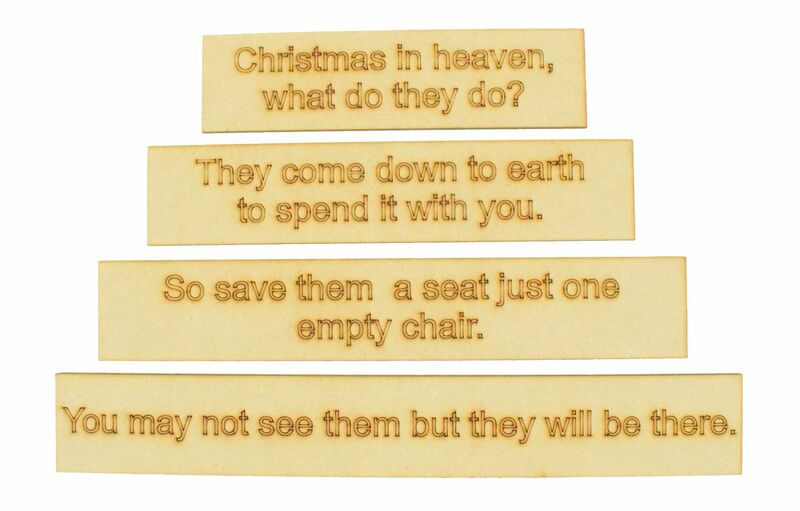 'Christmas in heaven, what do they do? They come down to earth to spend it with you. so save them a seat just one empty chair. 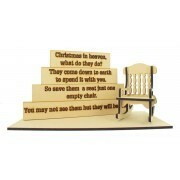 Available with joined blocks or loose blocks for you to arrange. This design comes to you flat packed, the chair will need to assembled and everything will need to be glued in place on the stand or left loose. Contact us for an instruction video if you get stuck assembling the chair. 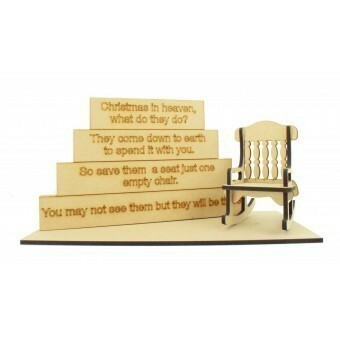 The base and rocking chair are made from laser cut 6mm MDF. 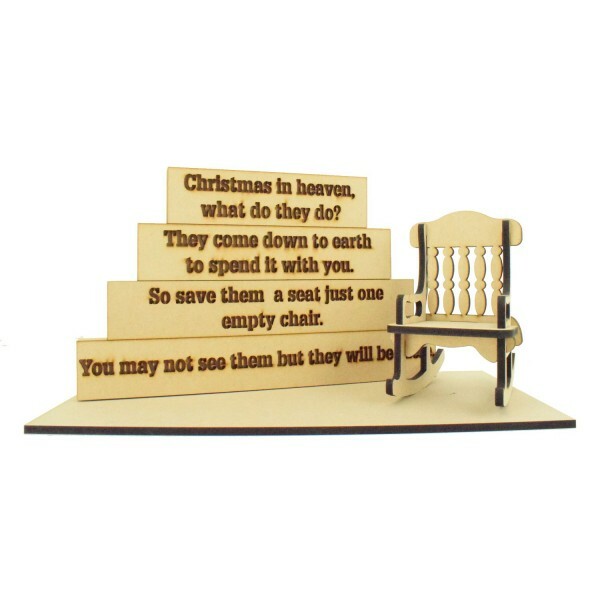 Laser Items - All of our items are laser cut and etched in great detail for a more defined item. 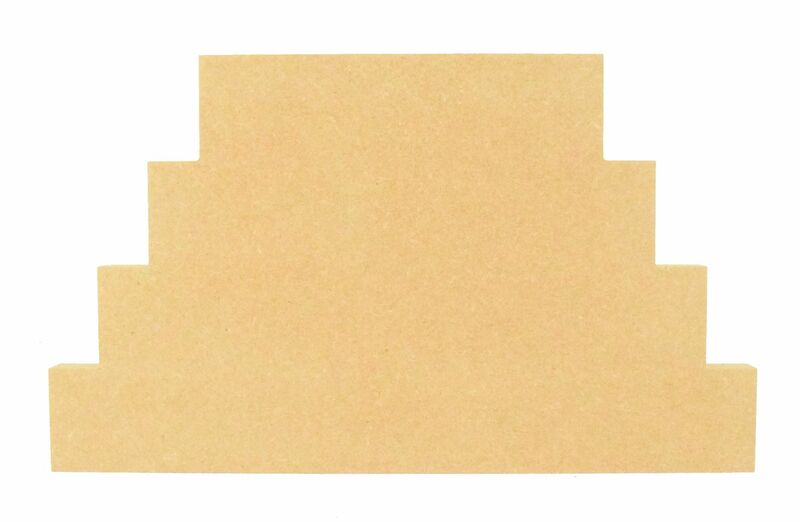 18mm Router Items - This product is cut on a CNC Router, there are no burnt edges. 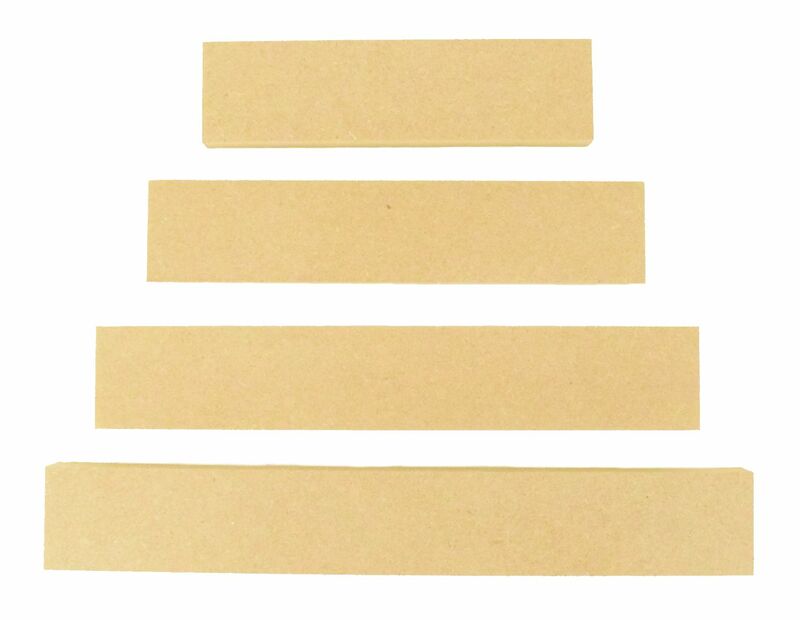 Some items may need preparation by the crafter. Please see HERE for more information.